A top director of HS2 has dropped out after accusations of cronyism, after a contract was handed to a company with close ties to senior HS2 executives. A top director of HS2 has dropped out over claims that a contract was handed to a company with close ties to senior HS2 executives. 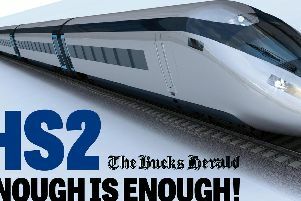 According to reports circulated nationally questions were raised about HS2's suitability to take on the high speed rail project as one of their top bosses walked out amid a conflict of interest scandal. Director General David Prout quit just hours after a £170 million contract to build part of the track was pulled because it had been awarded to a company with close ties to senior HS2 execs. HS2 Ltd — the Government funded company building the new rail network connecting London and Birmingham — last month chose CH2M to deliver two stretches of the new high speed line. CH2M's £170m contract was to develop Phase 2b, namely stretches from Crewe to Manchester and Birmingham to Leeds. Mace, an engineering firm that lost the bidding for the contract, had threatened legal action after pointing out that Mark Thurston, HS2’s new chief executive, was a former CH2M employee — as was his predecessor, Roy Hill, who had filled the role on a temporary basis. In a statement, CH2M said it had “provided formal notice to HS2 Ltd that we are withdrawing our interest in the HS2 Phase 2b contract”. “They hope doing this now - at a good time to bury bad news - means their other contract awards will not be investigated,” they added.